Something wicked this way comes, and its' name is Hagatha the Towering Witch! 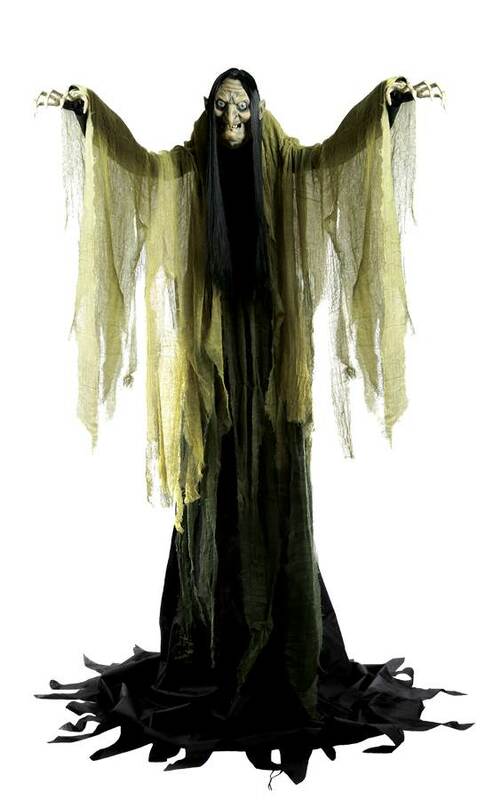 This terrifying looming witch character stands at an imposing 7Ð²Ð‚â„¢ tall at the top of her raised arms and features a soft PVC head with long black stringy hair, light up eyes & moving mouth, an easy-to-assemble metal frame, and raised arms with blow-molded-PVC hands. This wicked witch is dressed in a black fabric costume with shredded-gauze details and a matching black witch hat. Plug in the UL power adapter into any standard outlet & choose from Steady-On, Infra-Red Sensor or Step-Here Pad (included) activation options to operate. 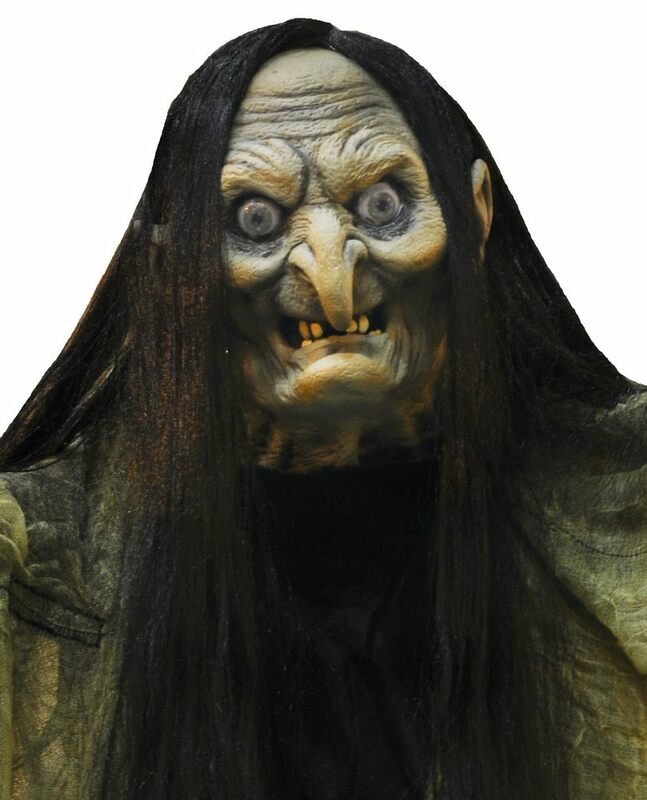 Once activated, Hagatha the Towering Witch she turns from side-to-side at the waist, and her mouth moves while saying one of three wicked sayings (''Oh, why it's just a lost juicy lamb, ready for slaughter!Ð²Ð‚â„¢Ð²Ð‚â„¢, ''Ehh heh heh heh heh! You best be ca'ful round d'ese parts - d'ey be lotsa critta's want'n'ta git d'ere teeths inta sum'n as tasty as you.Ð²Ð‚â„¢Ð²Ð‚â„¢, ''Come on over here my l'il nibblet, an I'll take reeal good care of ya! I'll be sure you won' have nuthin t'worry 'bout ever agin! Ehh heh heh heh hehh!''). Item includes volume control. Easy-to-assemble quick-connect poles.